San Carlo Italian Deli has been serving the San Fernando Valley for over 30 years, providing our customers with quality authentic Italian food and products. Besides treating people like family, the atmosphere is always a pleasurable experience that has kept loyal customers coming back throughout the years. Each day starts with hot, fresh bread baked daily on the premises. We feature a wide variety of fresh quality deli meats, cheeses and frozen foods. 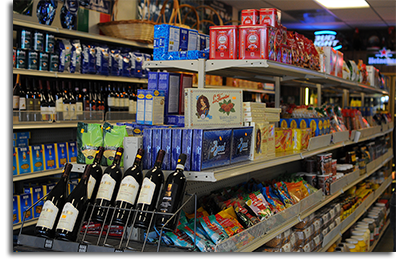 We carry fine wine, spirits and Italian pasta which makes for an enjoyable experience at our family run Italian deli. Whether it’s for one of our specialty sub sandwiches, the delightful lunch dishes or just a dine in/take out pizza, you’ll walk away satisfied with the service and quality of San Carlo. Here at San Carlo we live by our motto “Mamma Mia Che Delizioso”. San Carlo Stands for Quality!